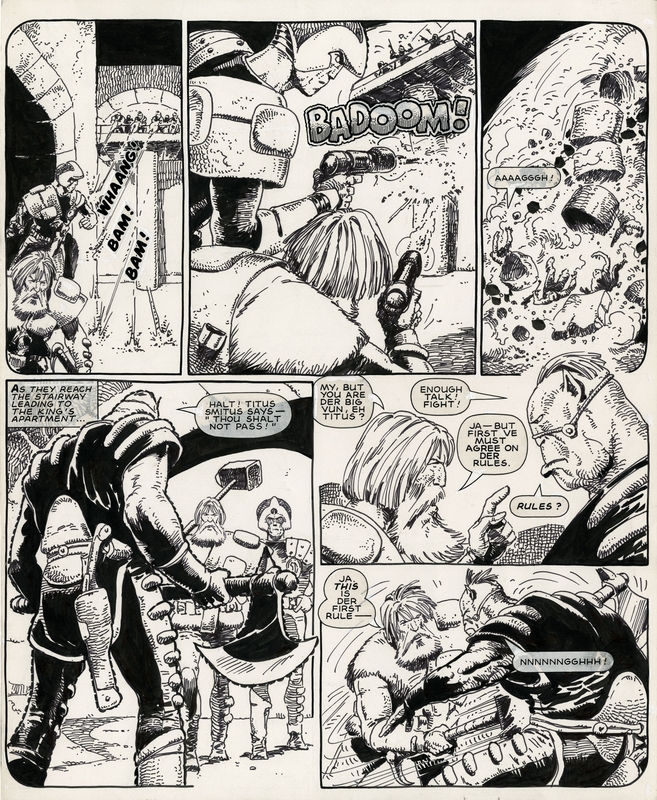 Fantastic STRONTIUM DOG page from the 'Slavers of Drule' in 2000ad Prog 432, 24th August 1985. Wulf Sternhammer and Johnny Alpha in full action! Written by Alan Grant, illustrated by the master himself, Carlos Ezquerra! Art is 35 X 43 cm. in very good condition.